Does Brian Kerwin look familiar? It's no wonder — his extensive resume includes film, theater and TV series from THE LOVE BOAT to BIG LOVE. Kerwin moved to New York City with his family in the early 1990s to pursue more work in theater. 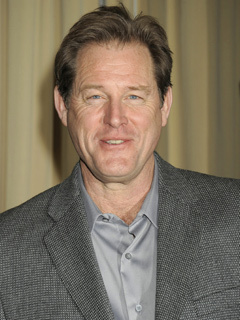 In addition to becoming one of the latest additions to ONE LIFE TO LIVE (Charlie), Kerwin also starred in the hit Broadway play August: Osage County. Has a huge resume on IMDB.com that even Kerwin didn't know about. Won the 1988 Theatre World Award for Emily. Played Robin Williams' father in 1996's Jack. Brian Kerwin (Charlie) out at OLTL. Details to follow.